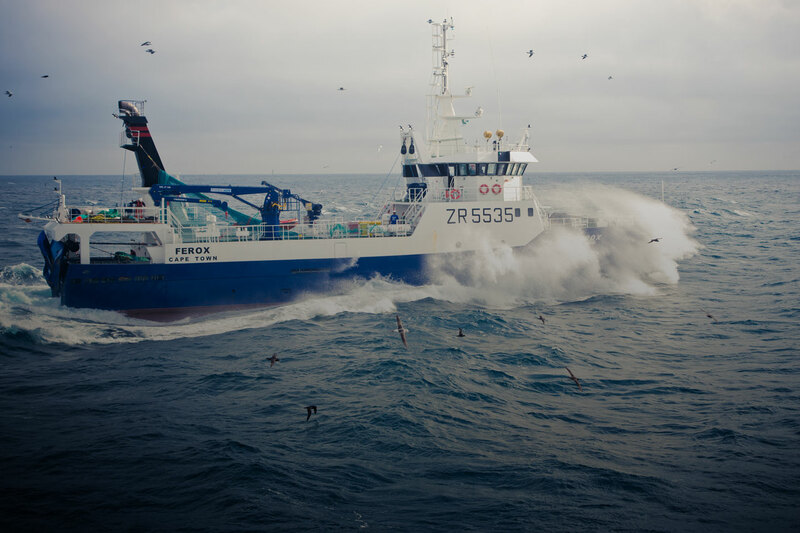 The process of reviewing the Operational Management Procedure (OMP) used to manage the South African hake fishery is underway and a panel of international experts has contributed a number of recommendations that will strengthen and improve the review. The experts – Sean Cox of Canada, Malcolm Haddon of Australia, Daniel Howell of Norway and Andre Punt of the United States – are acknowledged experts in the fields of quantitative fishery science, stock assessment, ecosystem modelling and statistical analysis of data. They led discussion at the International Fisheries Stock Assessment Review Workshop at the University of Cape Town (UCT) late last year. The annual workshop, which is convened by Emeritus Professor Doug Butterworth, head of the Marine Resource Assessment and Management (MARAM) Group at UCT’s Department of Mathematics and Applied Mathematics, is funded by the Department of Agriculture, Forestry and Fisheries (DAFF). It performs a peer review function by providing local fisheries scientists with an opportunity to subject their stock assessment techniques and findings to the scrutiny of international experts in the field. This year’s workshop focused on the assessment and management of hake, sardine and rock lobster, which are among South Africa’s most valuable fisheries. When considering the management of the hake fishery, the experts made a number of suggestions pertinent to the review of the OMP that is used to manage the fishery. OMPs are used to manage most of South Africa’s major commercial fisheries. They utilise pre-determined sets of information – such as industry catch records and the results of annual research surveys – and apply a set of pre-determined harvest control rules to recommend an annual total allowable catch (TAC). They are generally revised every three to five years so that they may accommodate changing fishing practices and new knowledge about the behaviour or composition of fish stocks. The OMP currently used for the South African hake fishery is known as OMP-14 because it was adopted by the Demersal Scientific Working Group of the DAFF in 2014 and has been used to set TACs for all the hake fisheries, including hake deep-sea trawl and hake inshore trawl fisheries. It is currently under review and will be implemented in time to recommend the TACs for the 2019 fishing season. “The South African trawl fishery for hake is acknowledged as one of the best managed hake fisheries in the world,” said SADSTIA Secretary, Dr Johann Augustyn. The South African hake fishery has been certified as sustainable and well-managed by the Marine Stewardship Council since 2004. It is the only fishery in Africa to have achieved such recognition. The MSC conducts annual surveillance audits of the fishery and is expected to embark on re-assessment of the fishery for a further five years in 2019. The International Review Panel Report for the 2017 International Fisheries Stock Assessment Workshop is available here (technical document). A non-technical summary (PowerPoint presentation) is available here. 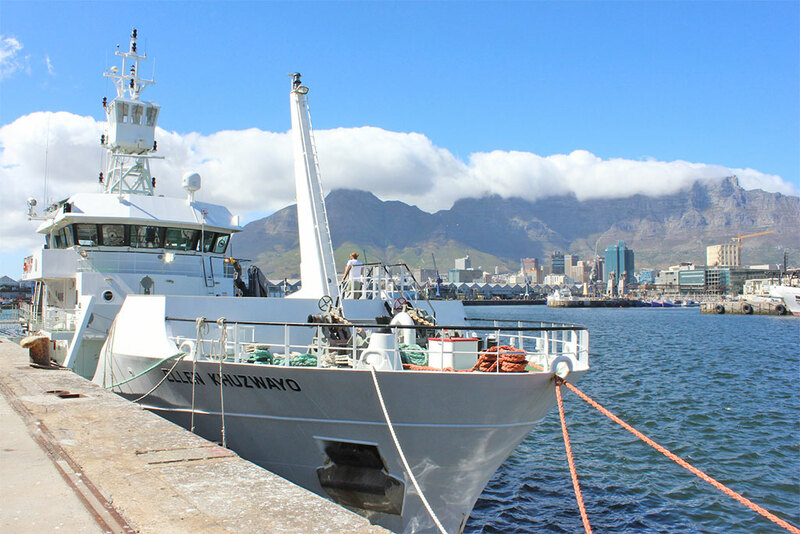 The South African research vessel Ellen Khuzwayo departed on Monday 22 January from Cape Town on the fifth and final leg of an innovative five-year experiment that is expected to shed light on the contentious subject of trawling and the impact it has on the seabed. Although bottom trawlers catch at least 20% of global marine fish catches and play an essential role in food security, trawling has been likened to “ploughing the sea floor” and criticised for inflicting irreversible damage on benthic (seabed) ecosystems. The surveys conducted from the deck of Ellen Khuzwayo over the past five years are expected to provide a scientific view on this issue, particularly as it relates to the South African deep-sea trawling industry, South Africa’s most important commercial fishery. Deep-sea trawlers target hake on trawl grounds that extend from the Namibian border on the west coast to the extreme eastern part of the Agulhas Bank near Port Elizabeth. Fishing takes place at depths of between 200 and 800m and it is estimated that trawling occurs in an area equivalent to 4.4% of South Africa’s exclusive economic zone. The regularly trawled grounds of “Karbonkel”, located off the coast of the Northern Cape, with an average depth of 400m, were selected for the five-year “Benthic Trawl Experiment” (BTE) which is being implemented collaboratively by a number of partners, including the South African Deep Sea Trawling Industry Association (SADSTIA); the Department of Agriculture, Forestry and Fisheries (DAFF) – which provides the research platform Ellen Khuzwayo; the University of Cape Town (UCT); the South African Environmental Observation Network (SAEON) and the National Biodiversity Institute (SANBI). The researchers are using a sophisticated underwater camera to collect images of the seabed, and at pre-determined locations the crew of the Ellen Khuzwayo has deployed a simple underwater grab that has collected samples of the animals living on or in seabed sediments. A curious collection of crabs, anemones, urchins, brittle stars and worms has been extracted from the sediments of Karbonkel. “We’re looking at the emergent macrofauna – the big animals that stick out of the sediment, like sea anemones, sea pens, that type of thing, and then there are the animals that live in the sediment itself, like heart urchins and crabs. We’re also looking at the structure of the sediment to see if it is being influenced in any way by repeated trawling,” explained Attwood. As soon as the Ellen Khuzwayo returns to Cape Town, an intensive analysis of five years of data will begin and the team expects that in two to three months time it will have the information it needs to definitively say, for the first time, what the impacts of trawling are in South Africa. “The outcome of the experiment is expected to address critical gaps in knowledge of the long-term effects of trawling and the capacity of deep-sea habitats to recover from such impacts,” said Dr Johann Augustyn, secretary of SADSTIA. Although the BTE is the first experiment of its kind in South Africa, similar experiments have been conducted in other parts of the world and SADSTIA has participated in a ground-breaking international initiative to determine the global impacts of trawling. This study was conducted by a team of 16 researchers who analysed data from trawl fisheries around the globe. They published their results in Proceedings of the National Academy of Sciences in July last year and determined that the impacts of trawling are highly variable; recovery times for plants and animals disturbed by trawling depend on the type of gear used and a range of environmental variables. The South African trawl fishery for hake is certified as sustainable by the Marine Stewardship Council (MSC) the world’s leading certification and eco-labelling programme for sustainable, wild-caught seafood. Improving knowledge and understanding of the impacts of trawling on the benthic environment is one of the conditions of MSC certification.